IAG Cargo’s new chief executive officer Drew Crawley said the carrier’s performance in 2015 as resilient in a challenging market. Commercial revenue, for the period of 1st January to 31st December 2015, was €1024m – an increase of 3.2 per cent year on year. But overall yield for the year was down four per cent on 2014. 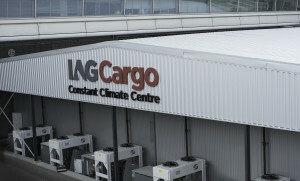 Volumes remained flat, while capacity increased by three per cent. “These are resilient results in the face of challenging market conditions, where excess capacity and reduced demand are leading to significant price and yield pressures,” said Crawley. “These structural changes to the market further reinforce our strategy of aggressive cost discipline coupled with a focus on growing our premium product offering. “We have exercised strict capacity management where needed and grown our premium products through investing in infrastructure, network and expertise.